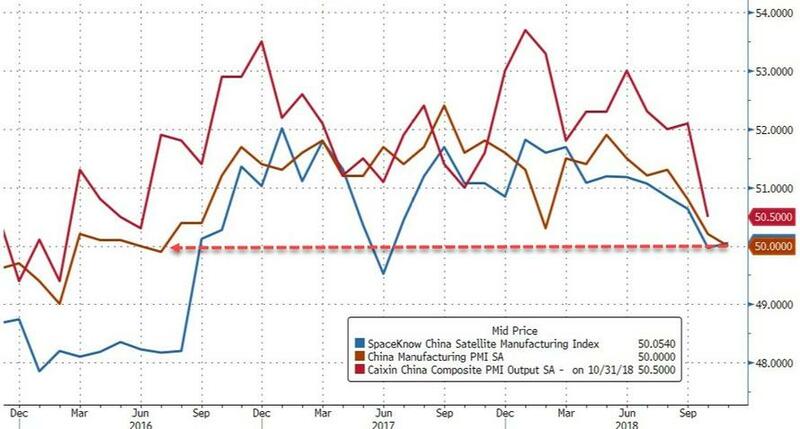 Despite stepping up fiscal and monetary support in recent months, China PMI tumbled to 50 in November - right at the cusp of economic contraction - the weakest prints since June 2016. Against expectations of an unchanged 50.2 print, China Manufacturing PMI fell to 50.0 in November (and non-manufacturing PMI slipped to 53.4 from 53.9). This weakness comes following a string of measures including personal tax cuts and plans to provide credit support for private firms to obtain equity and bond financing, and confirms early indicators signaling weakening on the external front. 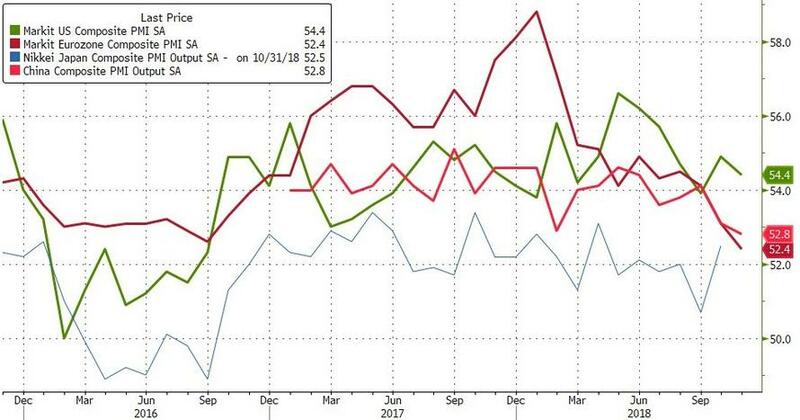 Among China’s major trading partners, the U.S. and Euro flash PMIs are expected to come in flat. South Korea’s export growth - a barometer for Asia’s exports - decelerated to 5.7% year on year in the first 20 days of November from 26% during the same period in October.